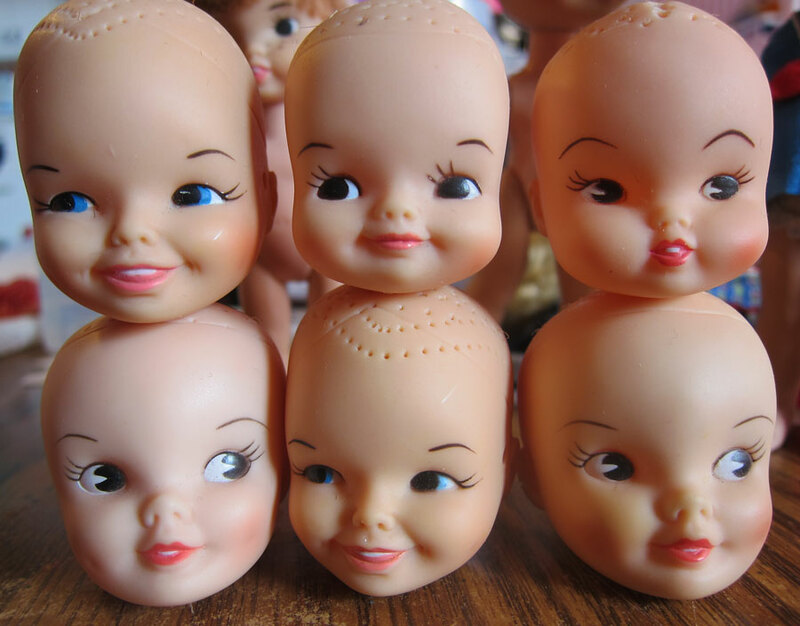 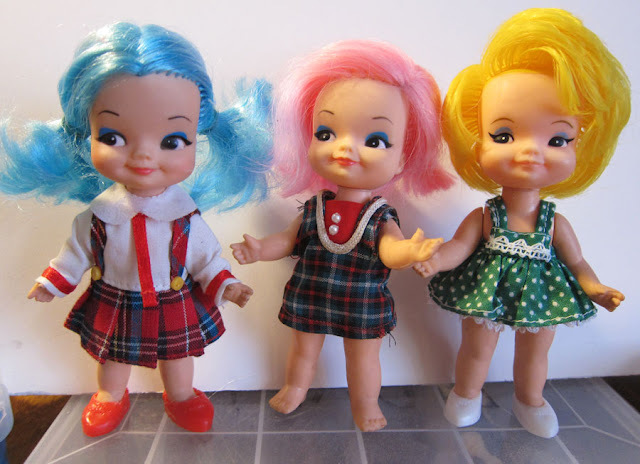 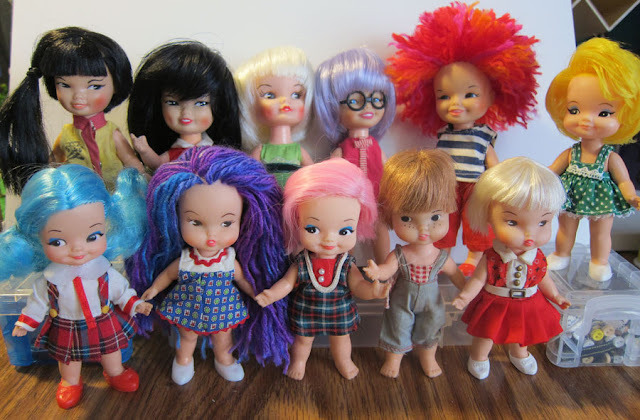 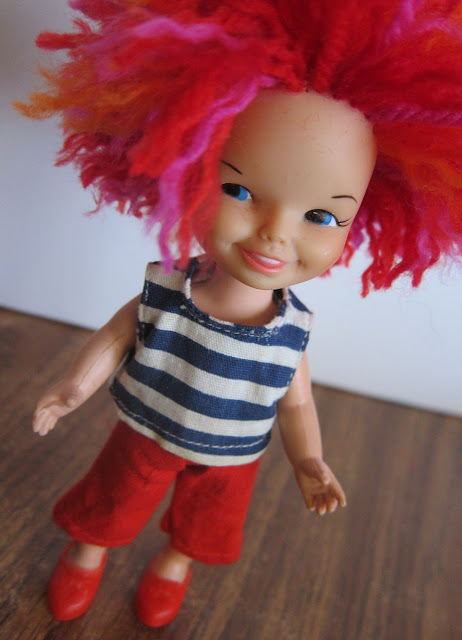 All three Finger Ding doll heads are on Hildy bodies. 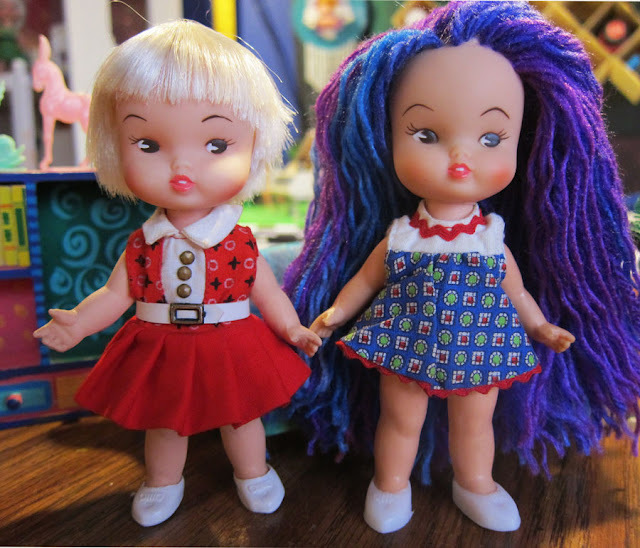 Hildy and Spunky yarn reroots. 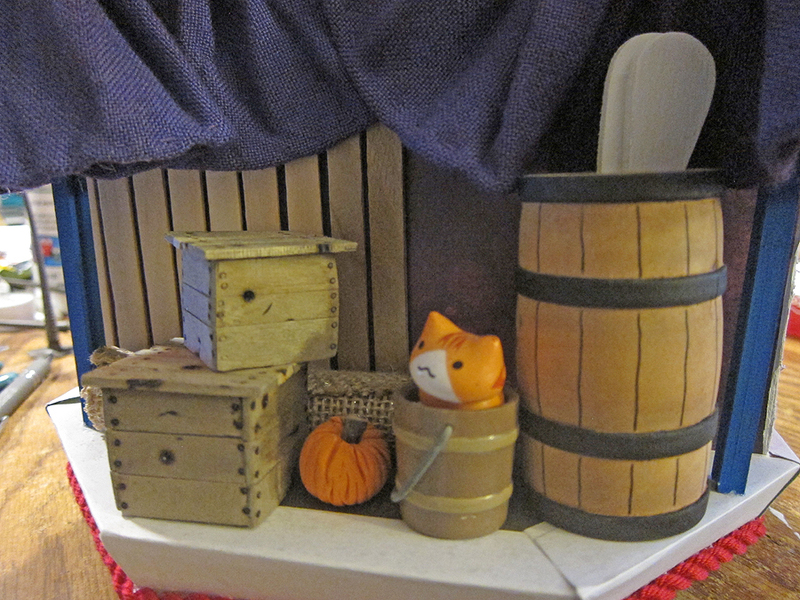 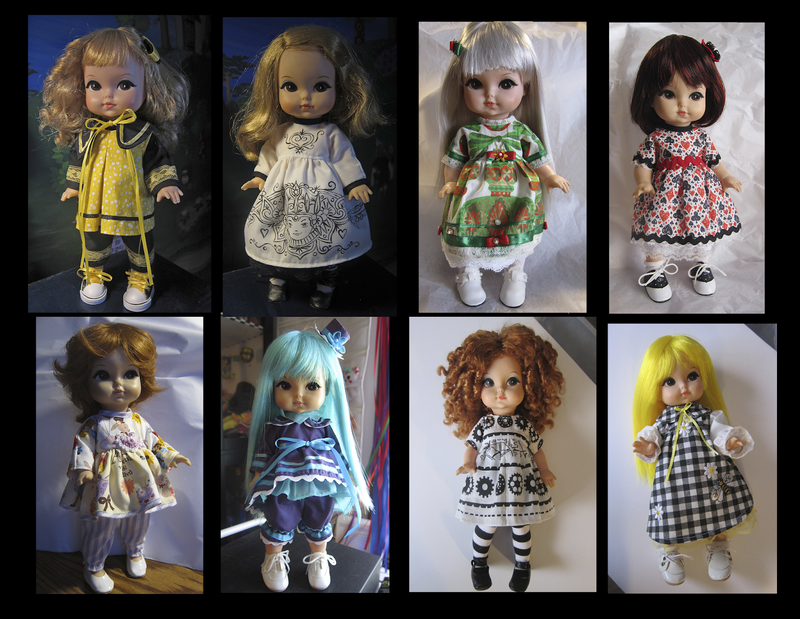 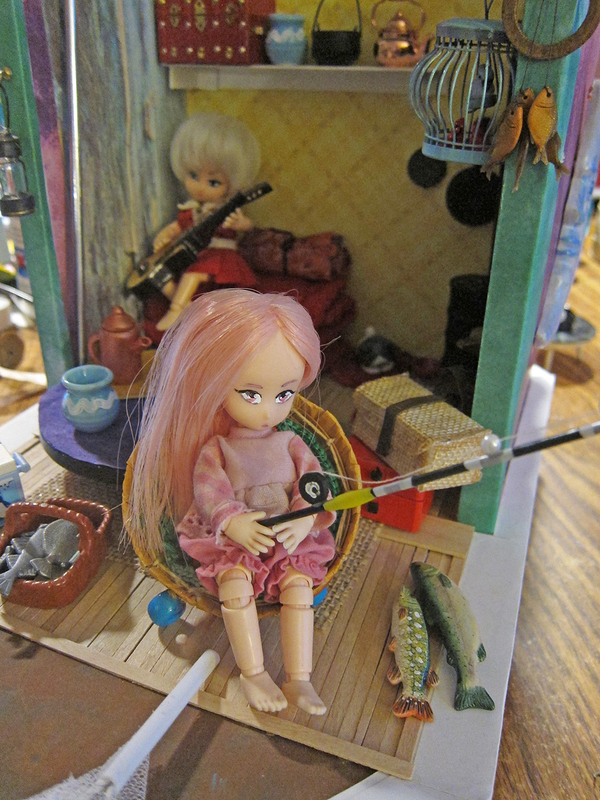 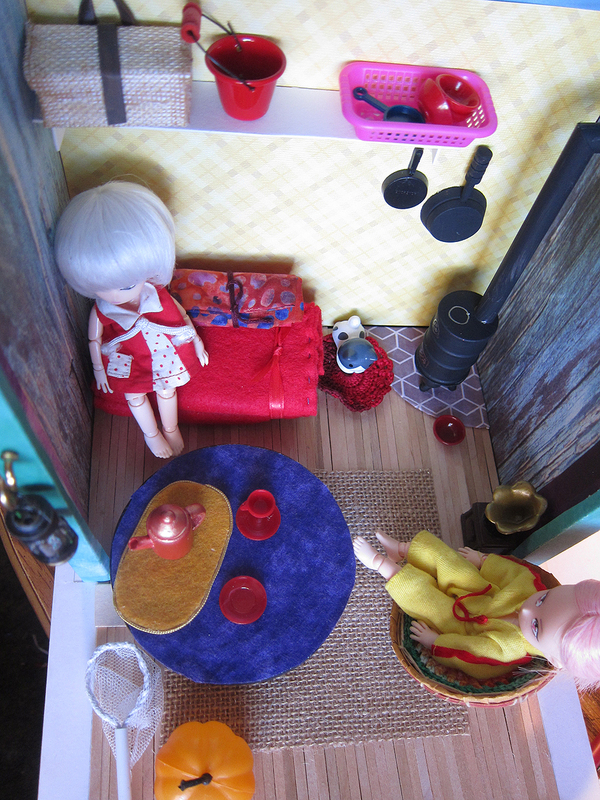 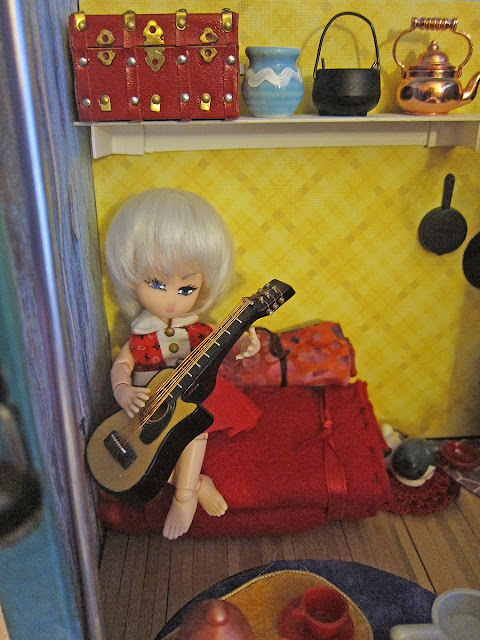 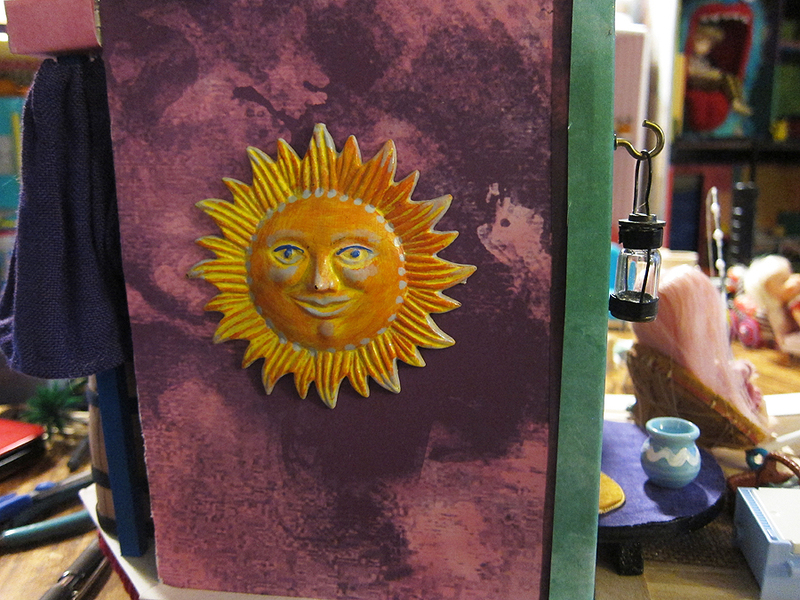 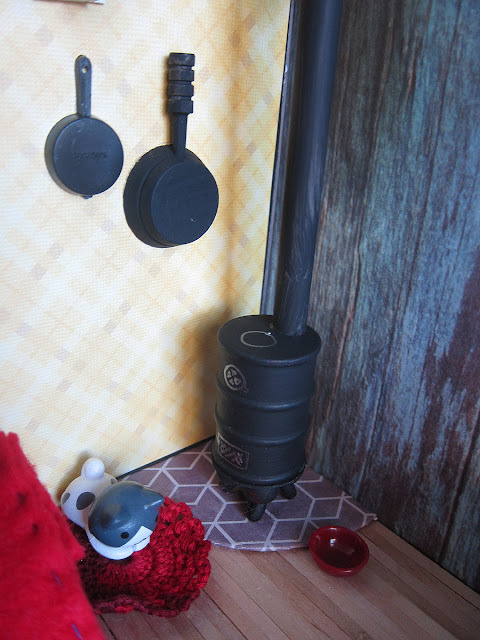 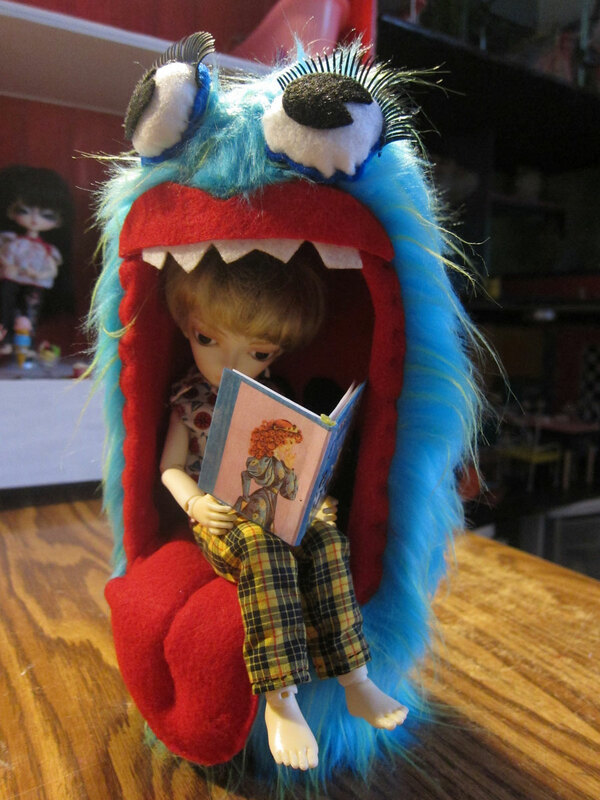 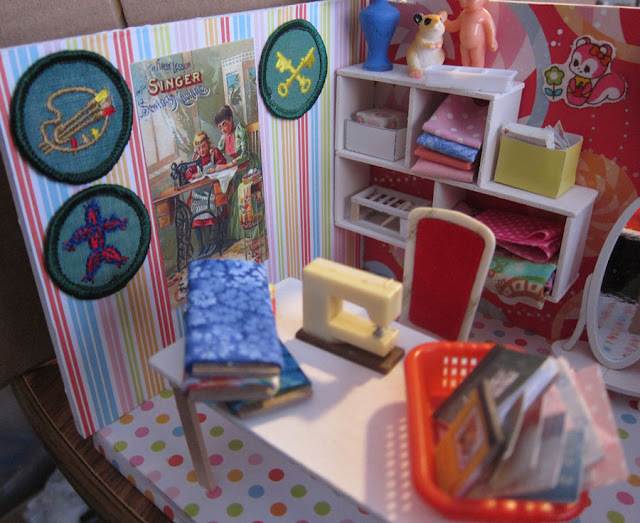 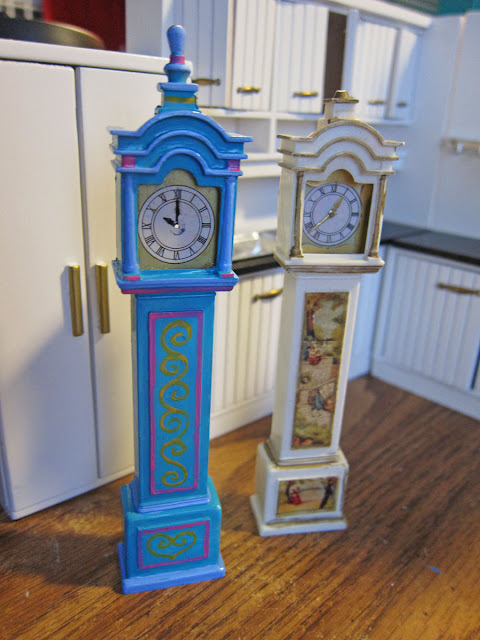 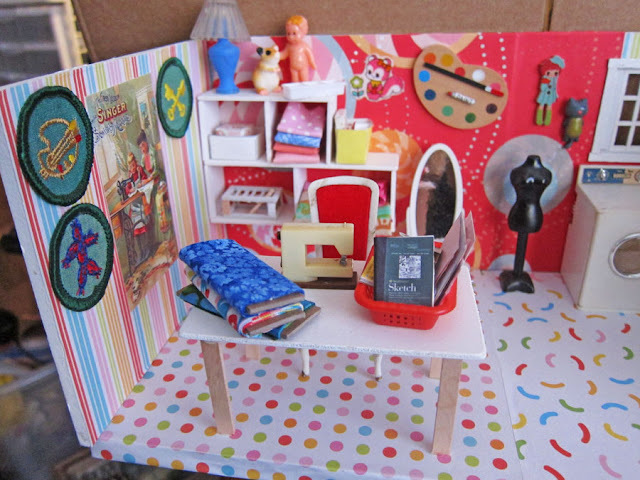 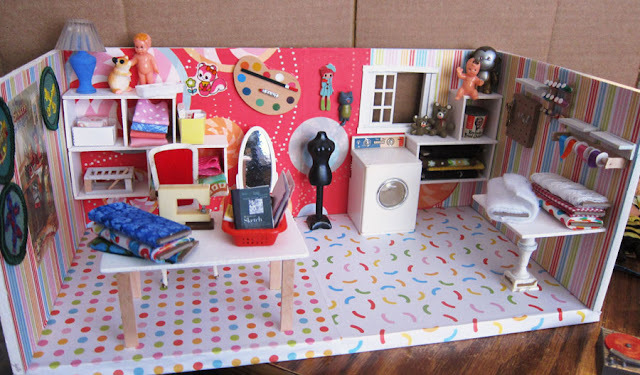 Also, I recently made a 1/12 scale sewing room for my Little Dal, and a 1/12 scale houseboat for my 11cm Obitsu girls.